Business Description THE AUTHENTIC TASTE OF MEXICAN HOMEMADE FOOD! -------- "Where You Are The King - Donde Siempre es atendido como rey!" 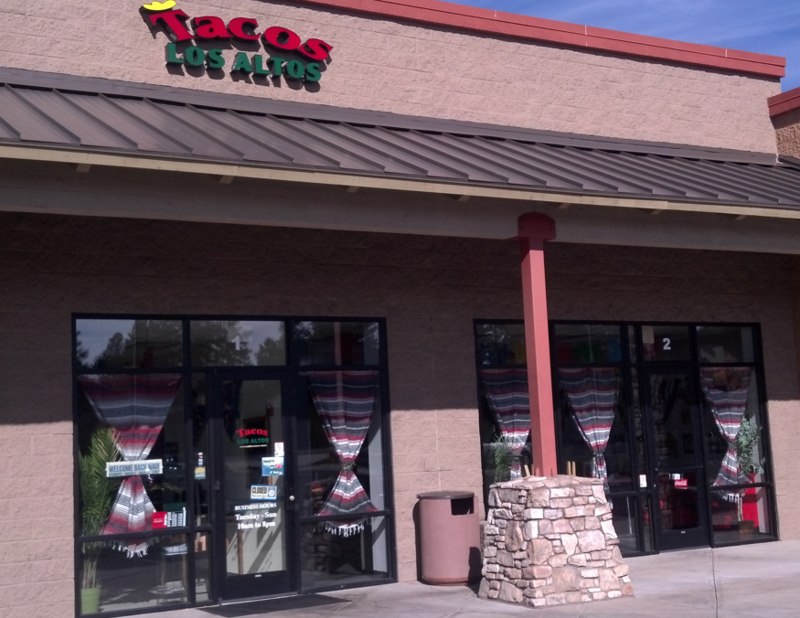 -------- Tacos Los Altos (Voted Best of Flagstaff 2009) is one of the local favorites! This Fast Casual Traditional Mexican food restaurant is family owned and operated and offers great food and festive atmosphere. Sit down dining, as well as take out and outdoor seasonal seating is available. Large screen viewing of sports events, full bar, and great salsa bar top off the great food, atmosphere, and reasonable pricing. Don't miss a chance to taste one of Flagstaff's local favorites. Located just behind the west side Walmart shopping center, off of Woodland's Village Blvd & McConnel Drive in the Taverna/West USA/Anytime Fitness Shopping Center. And remember---- We are #1 - y recuerde, somos el #1!